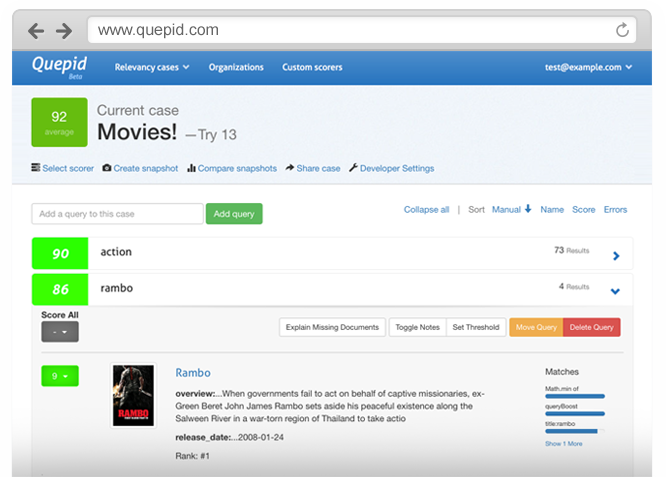 Built by search experts, Quepid puts your team in control of your Solr & Elasticsearch search results. Using test-driven techniques, content experts and marketing teams can efficiently define and track search correctness. With this foundation, you'll never slide backwards and can fully leverage the power of open source search. "Quepid lets me experiment, adjust and tune the search engine based on immediate and accurate feedback - it's a fantastic platform for debugging and improving relevance." "Quepid has been a game-changer for us...We’ve solved and avoided numerous customer issues, and I’ve been able to feel more confident that my feedback on search quality directly funnels into our search relevancy algorithm." 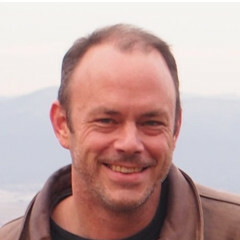 "I’m very concerned when my work doesn’t show up in our Solr search results like it should. But with Quepid, we are now working together like speed chess players, tweaking config settings, defining success and swapping out dozens of test queries in a flash."